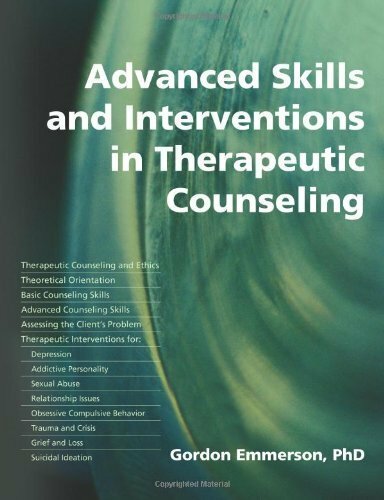 It is refreshing to come across a book that competently covers various aspects of therapy, marrying the two and drawing them together successfully. This book approaches ego state therapy from a counselling perspective, where trance is induced through the client’s involvement in the process and engagement with the therapist. Two chair work or even multiple chairs can be used instead of traditional hypnotic induction and has been proved to be most effective. This broadens the use of ego state therapy into the vast network of counsellors, thereby offering an effective skill that can be embraced by many. Dr Gordon Emmerson’s book reminds the reader of the ethics associated with counselling. Boundaries are mentioned along with transference and the question of the keeping and security of case notes. For example “What will happen with the notes upon the death of the counsellor?” The author suggests an arrangement with a co-supervisor to provide a thoughtful provision of duty of care. Emmerson introduces the reader to ego state therapy at the first opportunity, outlining the development of the therapy and the origin of ego states with an overview of the ego-state personality theory. One has to admire the clarity utilised by Gordon Emmerson as he takes us through the therapeutic use of ego state therapy from a counselling perspective. Crisis and trauma interventions are addressed with three important elements explained – Expressions, removal and relief and an explanatory script adequately illustrates this. 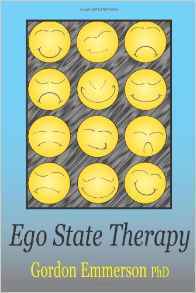 This is an easily read book that will hold the reader’s attention and there is much knowledge within the pages as the author gives the valuable “how to” and allows ego state therapy to come into the realm of many. A valuable contribution by the author who is a member of the Australian Society of Clinical Hypnotherapists…..one not to be overlooked. Little did my husband know what he was doing in 1973 when he brought back from overseas a cassette of Helen Reddy signing “I am Woman”. From the first hearing I knew this person “understood” and the song became my all time favourite. 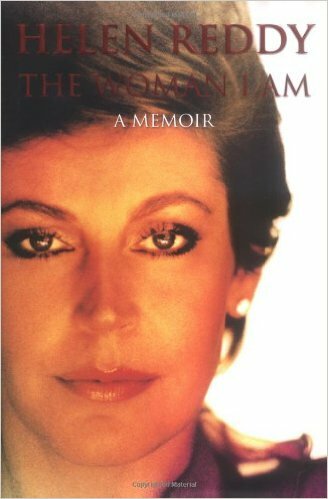 Helen Reddy has written her autobiography with the same understanding of what her audience wants. From the opening sentence “I can’t say I was ‘born in a trunk’ although I have slept on top of one” through to the closing with the well known cry recorded by her father Max Reddy years before “Loo-nah Pahk – jes fo’ fun – ha ha!” we are given a glimpse into the life of another. This is a most readable account of Helen’s story that has high points and numerous low points. It speaks of dogged determination, perseverance, risk taking and forbearance. It takes us around the world and gives us adventures. And now, this wealth of experience has led Helen Reddy to another facet of life – the life of a hypnotherapist where her beliefs enable her to assist clients in accessing past lives. I thoroughly enjoyed every page and I feel sure that if she chooses to write about this next exciting stage of her life that it will be every bit as captivating. This is the long awaited book that those who have experienced the teachings of Gordon Emmerson will delight in reading. For those who are new to the concept of Ego State Therapy, the book will provide the “how to”, so often missing in other worthy tomes. The author’s style is conversational and contains clear, succinct definitions of what Ego States are, the nature of Ego States and where they come from, how they differ from Multiple Personalities and the impact of Ego States on the body. Metaphors, examples and transcripts ensure the reader is given every opportunity to understand and absorb the information being offered. The development of Ego State Therapy is briefly discussed and acknowledgement is given to the foundation work done by Dr John Watkins and Helen Watkins. Chapter 2, “Accessing Ego States in Therapy” is enlightening. General guidelines are listed and then each, in turn, is explained as are the guidelines that lead to good therapy. The Resistance Bridge Technique is explained fully and is in fact a blending of the Resistance Deepening Technique (Emmerson, 2000) and the Affect Bridge (Watkins, 1971). Several pages of client/therapist interaction assist in clarifying how to utilise this technique. Ego States not communicating properly can be compared to members of a family not communicating properly. Some may feel alienated and some work in opposition to other states. All states see their role as important. Learning which Ego States a person has and how to call the individual states to the executive. The author explains Difficult and Malevolent Ego States, Couples Counseling, the Treatment of Addictions, and Depression and Anger and his use of simple terms makes explanation an art form. In fact, the whole book reflects the author’s enthusiasm and dedication to Ego State Therapy and his desire to share his knowledge with others. Chapter 5 provides step by step guidance to conducting three sessions: to resolve trauma; to enhance internal communication and to promote self awareness and knowledge of strengths. Comprehensive, filled with theory, practical explanations and the important “how to”, the reviewer part of me urges you to check the book out… and be prepared to be delighted.